Notorious white nationalist Richard Spencer sues Ohio State University for refusing to allow him to rent university space for speech. 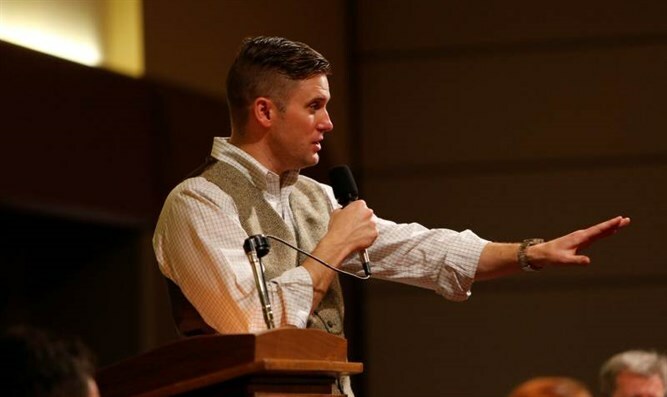 The booking agent for white nationalist Richard Spencer has filed a federal lawsuit against The Ohio State University for refusing a request to rent space on campus for a speech by the controversial far-right figure. Ohio State issued the denial more than a week after Spencer appeared at the University of Florida, which brought hundreds of protesters, and cost the university more than $500,000 for security for the event. The governor of Florida also declared a state of emergency in the county where the campus is located prior to the speech. Ohio State, located in Columbus, has more than 2,700 Jewish undergraduates on campus, comprising about 6 percent of the undergraduate student population. There also are about 350 Jewish graduate students on campus. The University of Cincinnati, also in Ohio, under the threat of a lawsuit, recently relented to the request to host Spencer, though no date has been set. Padgett’s attorney on Friday filed a lawsuit against Pennsylvania State University after it also turned down a request for Spencer to speak, also on the grounds of public safety. Florida State University, home to the largest Jewish student population in the country, allowed Spencer to speak after initially declining his request, saying that as a public institution it must uphold the principles of free speech. Spencer, the founder of a white supremacist think tank, has advocated a white ethno-state that would exclude non-whites and Jews.